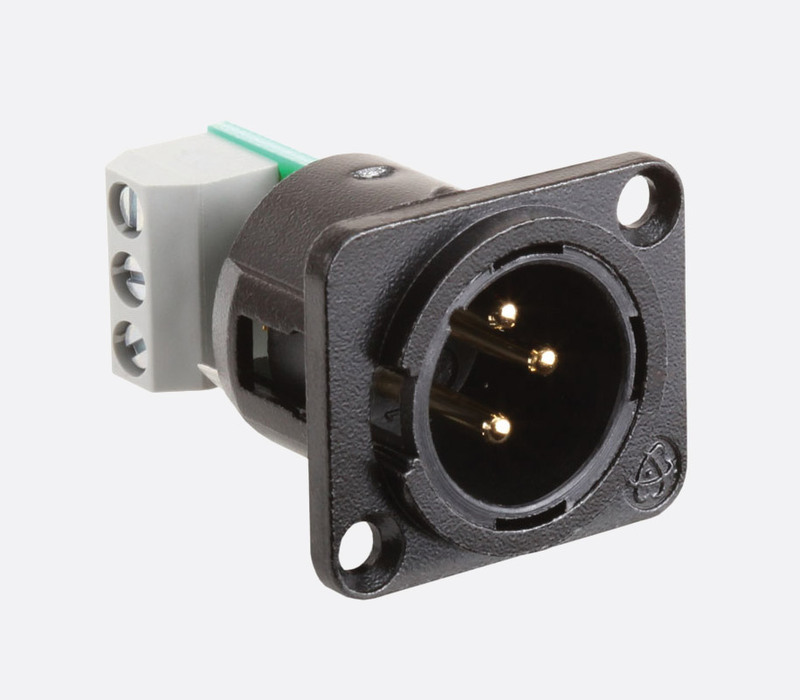 AMS modules are a convenient means of mounting connectors, switches and control knobs in panels and cases without resort to electric drills and other messy paraphernalia. A pre-punched panel is offered and a number of modules which fit into the panel. The panel may be mounted in any of the Radio Design Labs Rack-Up mounting hardware. In addition to the RDL modules, the panel will accept the large range of Canford Universal Connection Series connectors and components. While intended originally to partner RDL the various RDL modules, the AMS system also lends itself to creating special control panels using other systems and circuitry. The Rack-Up mounting system provides suitable mounting hardware for equipment racks, wedge-shaped ‘pods’, free-standing cases and a variety of brackets. Included accessories: All are supplied with mounting screws. 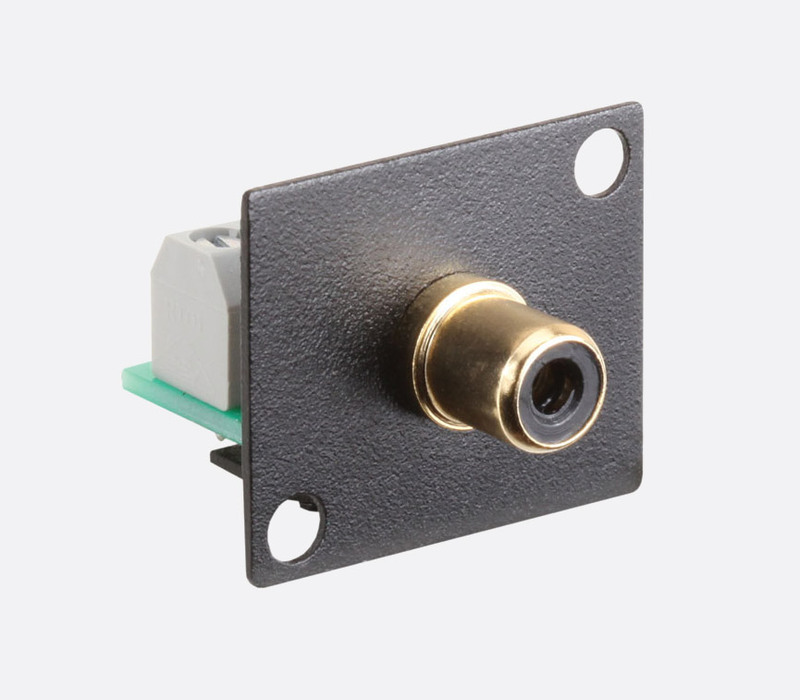 Male 3-pin XLR connector with switch-selectable audio attenuation of unity or 50dB. 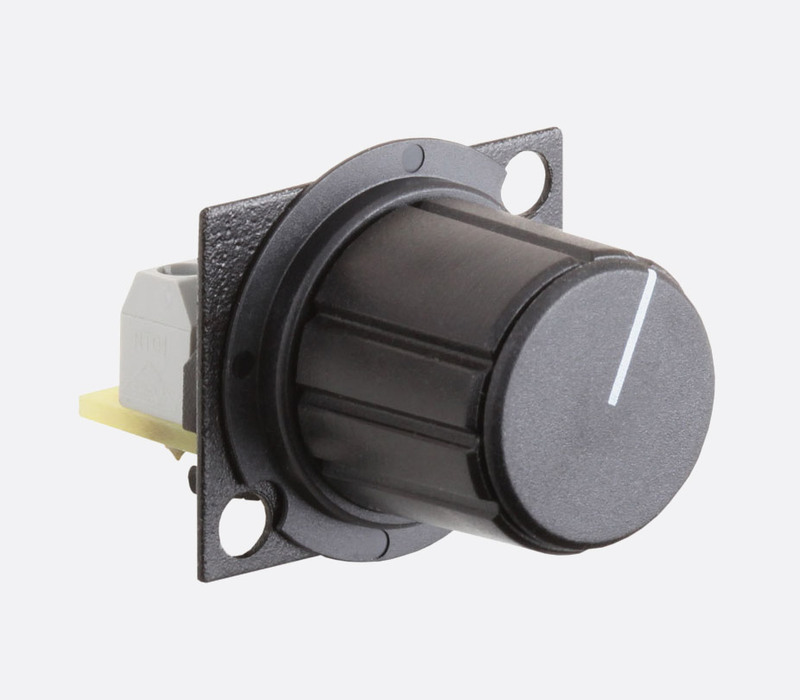 Also features protections from up to 55 Vdc Phantom power. Has terminal block connections. Both are 10k ohms, single channel, with knob and terminal block. AMS-10K has a linear taper, controls RDL and other VCAs. AMS-10KA has an audio taper, for use as a volume control and other audio applications. 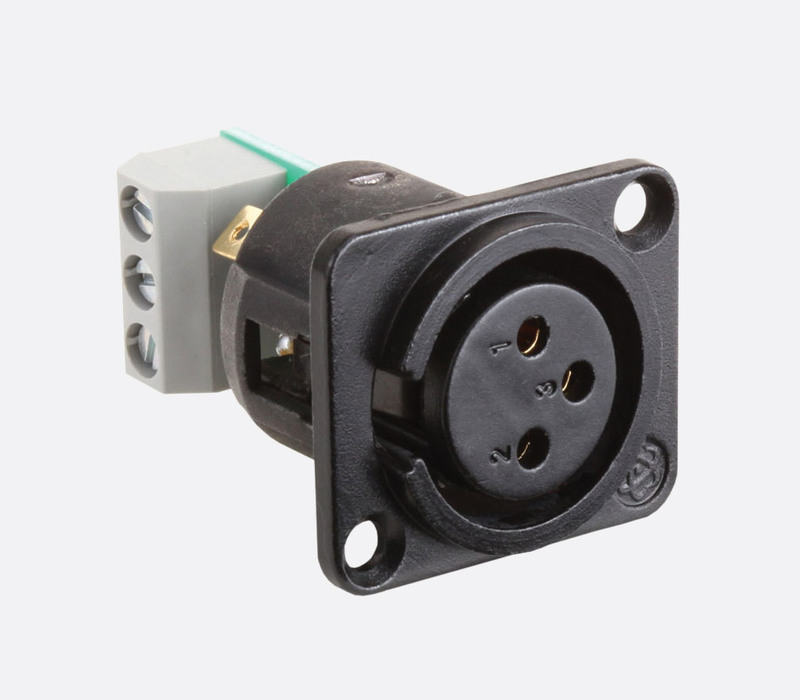 Single-pole, two-way, to control RDL modules or industry equipment, 2 amp, solder terminals. 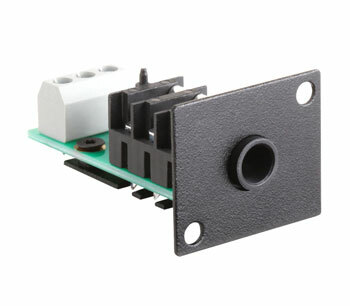 Two-pole, two-way, to control RDL modules or other equipment, 2 amp, solder terminals. Available with red, blue, green, or yellow LED. Includes current limiting resistor and leads. 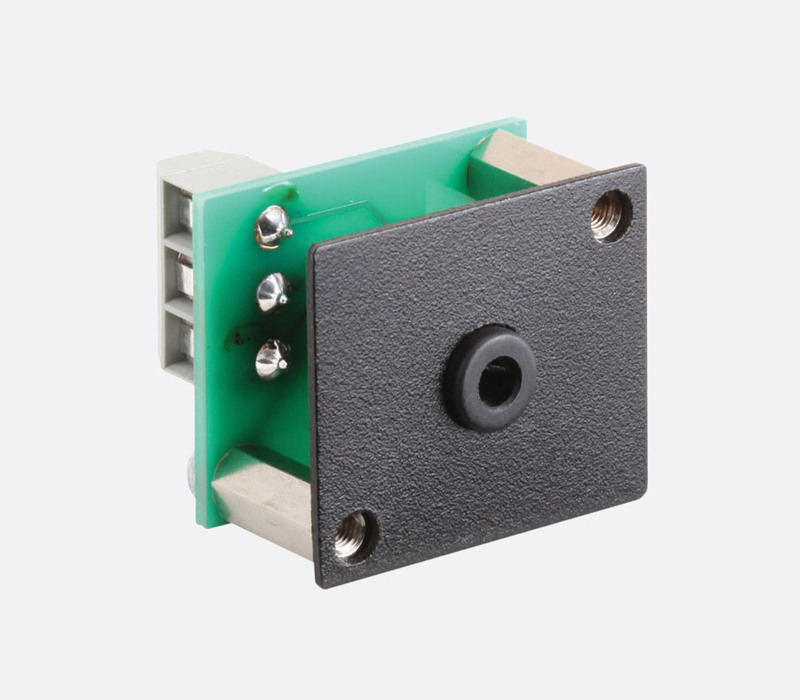 Co-axial connector for 24V DC power, fits RDL power supplies equipped with coaxial connectors. Solder terminals. A black panel with a ‘slide-in’ label strip with polycarbonate window. 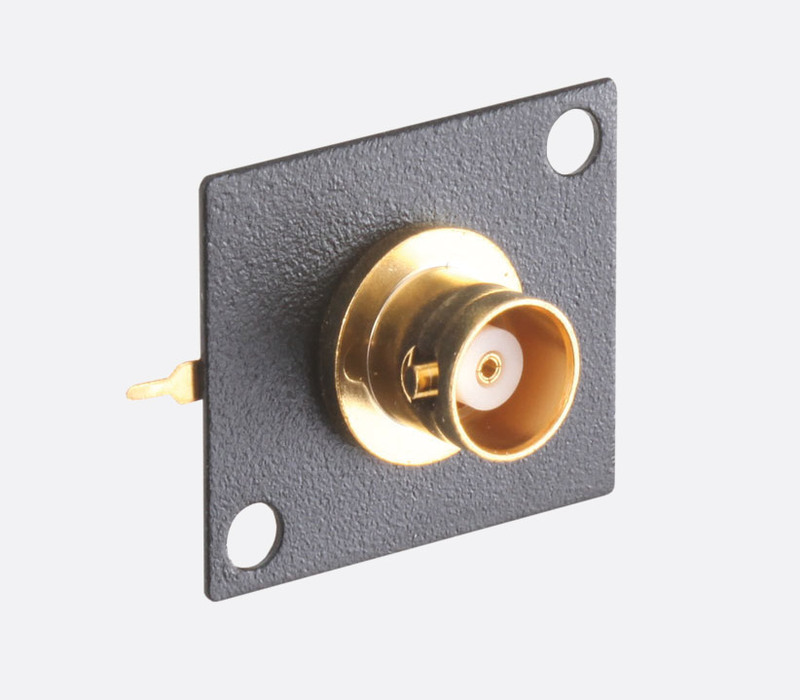 It has four sets of apertures and captive threaded bolts to rear-mount either AMS Series modules, Canford Universal Series connectors, connector plates and switch plates, or any connector with dimensions to match the Neutrik D-Series housings. The panel will mount in any standard RDL Rack-Up mounting aperture, using the mounting screws supplied. Dimensions: 147.3 x 42.5 (w x h) mm. Covers unused apertures in the AMS-UF1. 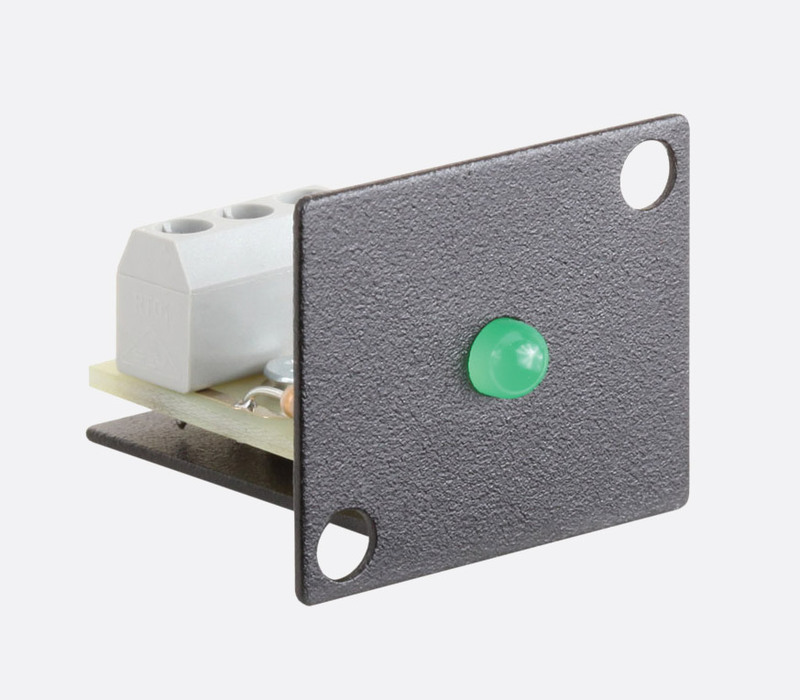 These modules are intended for use with low voltage circuits, not main AC power supplies, where there is no risk of electric shock. The installer should satisfy himself that the resulting assembly is electrically safe and satisfies all relevant regulations in the region of use. If in any doubt whatsoever, an appropriately qualified authority should be consulted.